With the Deputy Kiosk being one of the most used apps within Deputy’s ecosystem, we knew we had something great in our hands. Every day 20,000+ employees punch in their PIN and start and stop their shifts with the Deputy Kiosk. With ‘Perfect is Bulls**t’ as one of our leading internal values, we didn’t want to sit still and just watch all the funny faces employees take when they’re signing out; we wanted to improve the Kiosk with the employee experience in mind. We took on the challenge of building the Kiosk app from scratch to take advantage of the latest technology, revamp the design and enhance reliability and performance. So, what’s new with the Deputy Kiosk? Starting and stopping shifts have never been faster! Clocking in/out is now more fluid thanks to our performance improvements and better facial detection. 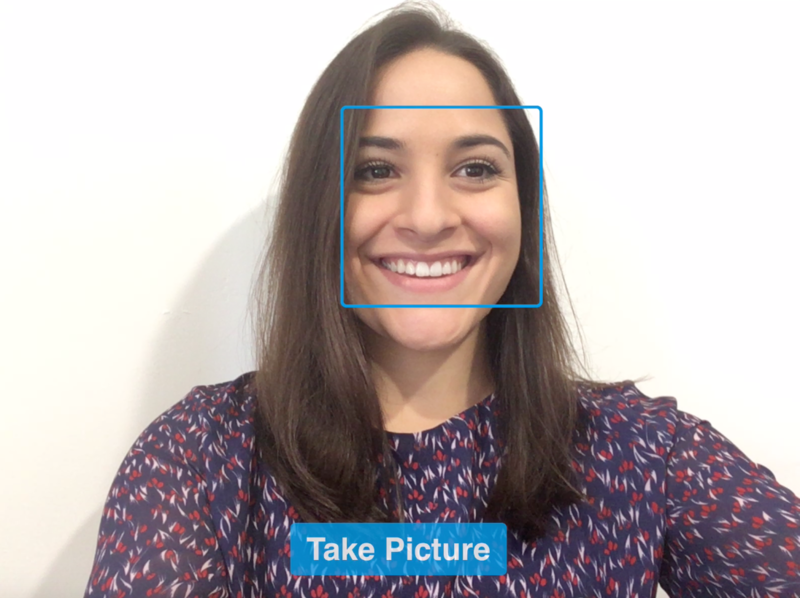 While facial detection works best in well lit environments, if you’re in a low light environment, not to worry – you can now manually capture a photo with the new ‘Take a Picture’ button. This way, you get employees through the door so they can start work instantly! Designing a new Deputy Kiosk with simplicity and usability in mind is no easy task, although, that’s exactly what we’ve done! Employees will enjoy using the new interface because now it’s easier on the eye, easier to navigate, user-friendly and optimised for the most useful information to be displayed. To help employees maintain context, we’ve categorised employee actions in their respective tabs. For example, your staff can book their next holiday by navigating to the calendar tab where they can see the dates they need to book for. 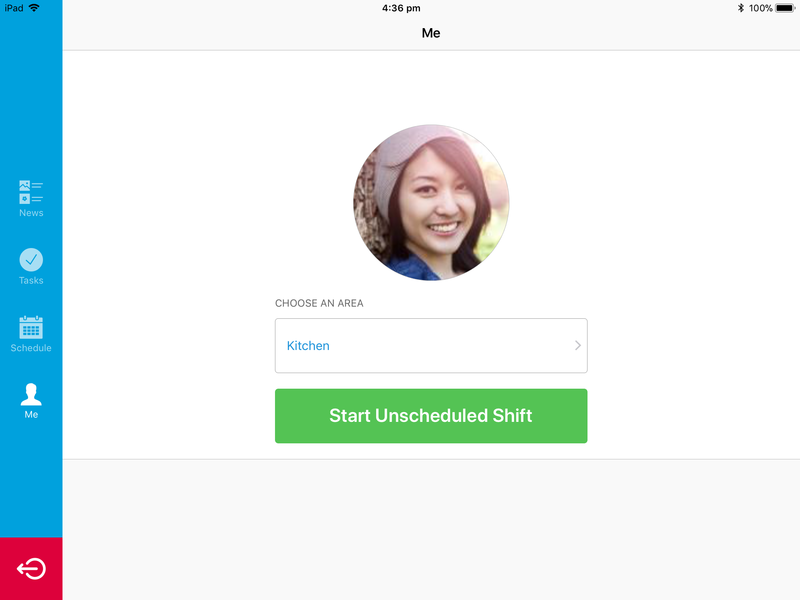 The new ‘Me’ tab, which employees would be familiar with from the mobile apps and web experience, will display future shifts and past timesheets at a quick glance. 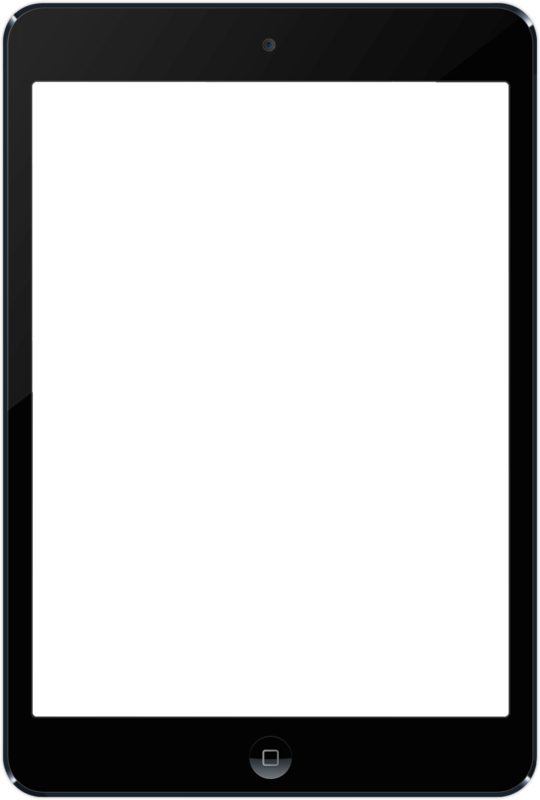 Take a peek at some of the awesome screens below! We’re big fans of flexibility here at Deputy and so, we went ahead and added the ability to use the Kiosk in portrait mode – we know it was driving you crazy! Adding to that, we’ve also added multi-tasking support so staff can still clock on/off while your Point of Sale (POS) app runs side by side. Staff no longer have to line up and wait for customers to finish being served, before they can start/stop their shift. Out of the box, the new Deputy Kiosk supports English, French, German, Italian, Portuguese, Spanish, Simplified Chinese & Traditional Chinese languages. We’re also adding Japanese and Korean to the mix with Czech, Polish, Russian, Greek, Croatian and Romanian planned for future updates. Your feedback is always valuable and so, we’d love to hear from you and learn more about your experience with the Deputy Kiosk. We hope you’re excited for the new Deputy Kiosk just as much as we are! Download the new app and start clocking in now (iOS 10+ is supported). You don’t want to be late to the party! The post Deputy Kiosk, Revamped appeared first on Deputy. If you’re still on the fence about how much value you can derive from investing in your online reputation, there’s no time like the present to start taking it seriously. With today’s mobile-savvy customers increasing their reliance on review sites like Yelp and TripAdvisor to guide their food or beverage choices, it’s become more crucial than ever for hospitality businesses to build and maintain a good reputation online. Here’s why reviews matter for any hospitality business, and how you can turn more of your delighted customers into positive critics. How important are online reviews actually? For hospitality and food businesses, very. Digital marketing and the internet has seen to it that consumers today have access to all kinds of information before choosing where to spend their money, and they don’t mind the extra research time either. The recently published 2017 Sensis Social Media Report found that over 60 per cent of Australian consumers expect to read up to five online reviews before making a purchasing decision. The survey also found – of respondents who provided online reviews in the last year – the most frequently reviewed products or services were hospitality businesses, including hotels and motels (just under 50 per cent), restaurants, bars and cafes (40 per cent). There’s no doubt that competition is stiff in the Australian accommodation, food and retail industries. These sectors face high financial and failure risks over the next year, according to major insolvency firm SV Partners, which cites low wage growth and weak consumer demand as major concerns for businesses in this space. “As disposable incomes shrink, and in an environment of low consumer confidence, hospitality and retail businesses may struggle to achieve the revenue necessary to cover their relatively high costs,” said SV Partners managing director Terry van der Velde. While doing things such as employing a focus on food quality, continually improving the customer experience and maintaining good price points are crucial for repeat business and therefore, steady revenue, the first impression your new patrons get about your business will very likely affect whether they decide to become a paying customer. Because smartphone penetration numbers are fast approaching the 100 per cent mark in Australia soon, the confidence a potential customer gets about visiting your business today, is likely to stem from the first reviews they read about you online. If reviews are so important, how can I make my customers write me one? An intelligent recommendation software designed to actively identify and not recommend reviews prompted or encouraged by the business. A Consumer Alerts program that warns people of observed attempts to manipulate ratings and reviews. Actively discouraging businesses not to solicit reviews from customers, mailing list subscribers, friends and family. Additionally, Yelp reminds businesses to refrain from conducting activities such as competitions among staff, or offering freebies, discounts, or payment in exchange for reviews. Similarly, TripAdvisor ensures quality control by allowing users to report a review that’s suspected to be fraudulent or doesn’t meet its posting guidelines. They also remove any reviews deemed to been written in exchange for gifts, services or money. It’s important to note that the power of reviews go both ways – positive write-ups can boost morale and increase footfall to your establishment while negative reviews, if not properly handled, can be detrimental to a business’ reputation. While you can’t (and shouldn’t) take shortcuts to achieving high ratings and recommendations, there are a few things you can do to drive more positive reviews your way. Optimise your Yelp or TripAdvisor page so it’s got enough high-quality images and information about your business. It also generally helps your SEO if you include a write-up of your business that’s peppered with selected keywords. Place your review page address on customer-facing material. This can be anything from your menu, to gift cards, your email signature, marketing collateral or web content. If you’re using Kounta, you can easily customise your receipts to include your review page address. Encourage customers to “check out your Yelp page” as opposed to demanding a review. Place a sticker at your shopfront. You might increase your chances of getting business or reviews from the 75 per cent of travellers said to prefer businesses with a TripAdvisor endorsement. Embed badges on your site to show your affiliation and existing number of reviews. Yelp and TripAdvisor both have badges that can either be embedded on your business’s website, or earned. There are broadly two types of negative online reviews – the unreasonable rants that you can’t do much about, and the legitimate feedback. You’ll know the difference when you see it. While nobody likes a bad review, you’re more likely to turn around the less-than-stellar ones you receive by addressing them, compared to just pretending they aren’t there. The abovementioned Sensis Social Media report found 27 per cent of people believe that businesses can positively influence their opinions by responding to a negative review. Responding to all your reviews, both good and bad, can also help you build trust with existing and new customers, and affords you the opportunity to highlight all the great things your business is doing instead. Yelp’s advice? Think carefully before answering a negative review and keep your response simple. Contacting your reviewer and establishing a genuine human relationship with him or her also increases your chances of changing his or her perspective for the better. With online reviews becoming increasingly intrinsic to reputation in hospitality, it’s no wonder that the technology also exists to help business owners earn and collect as much quality feedback as possible. TripAdvisor’ Review Express for example, allows business owners whose properties (hotels and restaurants) are listed on the site to automate an email campaign designed at getting authentic online reviews. The software also has analytics capabilities, and allows customised branding and the inclusion of private surveys. Users reportedly see a 28 per cent increase in collected reviews when using the software. For something more fluid, a tool like ReviewPush lets you collect all your reviews across multiple sites in one place. Email alerts and response notifications ensure that you never neglect another dissatisfied customer again. If you’re just venturing into the world of collecting online reviews and want a little more control over the negative ones, a tool like ReviewFilter lets you engage with recent customers via email or SMS for feedback. It automatically redirects customers with positive reviews to sites such as TripAdvisor, Facebook and Google, and if the feedback is negative, it can be forwarded to yourself or a manager to deal with in private. And, if you’re already using Kounta, simply enable the Collect Feedback Add on in your Kounta account and you can automatically generate emails to collect feedback after each customer transaction through the point of sale. When properly managed, online reviews are a powerful means of building and improving your business’ reputation, which means more trust between your brand and customers as a result. Remember, consumers today look to reviews to help them decide what they should spend their money on. Actively promoting your review page, responding quickly to negative feedback and using a little technology can help you on the way to getting your business where it needs to be with reviews. And the more you have, the better. Sign up to our free newsletter or read on for more expert advice on how to better connect with your customers and grow your brand. The post How to Drive Positive Reviews on Sites Like Yelp and TripAdvisor appeared first on Kounta. How eCommerce fits into the omnichannel is still an unfolding story. While global eCommerce sales continue to expand at more than twice the rate of total retail growth, it still only represents an average 8.5% of all annual retail trade. By 2025, however, one of every four dollars spent in retail will be through an online store. The bottom line is your eCommerce website will be a more significant part of your omnichannel business as time goes on. Thus, your ability to handle timely eCommerce fulfillment is becoming more and more critical. The importance of your online store is not lost to your eCommerce provider. Nor to any big shipping company, for that matter. With Amazon fulfillment setting the bar for fast home delivery, logistics providers are rushing to help businesses fulfill their eCommerce website orders. They’re also teaming up with platforms to provide faster eCommerce fulfillment in more markets. For example, Shopify recently added DHL express as an international carrier option. This gives more Shopify customers lower shipping rates previously available only to customers with enterprise accounts. In a similar vein, FedEx this year debuted FedEx Fulfillment. This service combines warehousing, packing, and shipping for brands with eCommerce channels. Your customers can be anywhere. But thanks to third-party logistics, you don’t need to invest in an Amazon-like infrastructure to get your products closer to them. Using 3PLs, you can hold the stock you need for eCommerce fulfillment practically anywhere in the world. While physical retailers sell on websites, pure-play eCommerce brands are opening physical stores. Meanwhile, both use marketplaces to reach more customers. This move to the omnichannel is the model of the future. However, the more channels you use, the more you have to do to manage order fulfillment. This increases the amount of time and resources you need to simply process and fulfill orders. Use technology to automate your business processes to help keep costs down as your business grows. Speaking of costs, the amount of stock you carry can impact your bottom line. Without understanding how well your products sell through any given channel, business risks carrying too much or too little of something. This means increased carrying costs in the former case, and lost sales in the latter. The risk to your bottom line increases as you sell more and add more channels and markets. Manage stock, processes, and fulfillment through a single tool that gives you realtime visibility, accurate costs and in-depth reports for the most efficient supply chain possible. The post 3 Ways to Improve eCommerce Fulfillment appeared first on Cin7. Jason McIntyre always loved Christmas. So when an opportunity to own a Christmas store came along in 2010, he immediately jumped on it. Jason left his job as a software architect to own and run Christmas Elves, a retail business that sells Christmas trees, lights, decorations, costumes, and more. 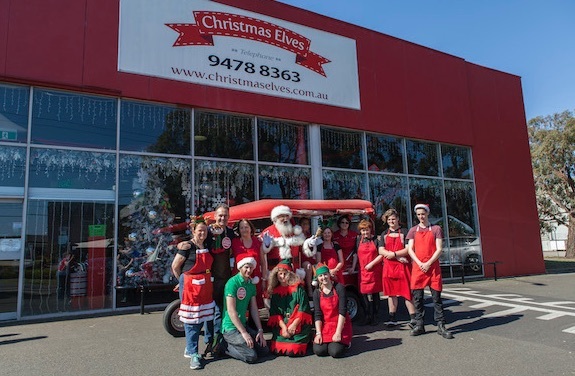 Christmas Elves started from humble beginnings, but it’s grown to become one of the biggest Christmas stores in Australia. Even more impressive is the fact that the business has grown 250% in the last three years. Christmas Elves’ online sales have also doubled in 2016, and they’re on track to double sales again this year. So how did Christmas Elves do it? We caught up with Jason and asked him to share the action steps that led to the company’s amazing growth. Have a look at what he had to say below. Below we talk about the types of reports that Jason runs, along with the action steps that he implements using the right data. 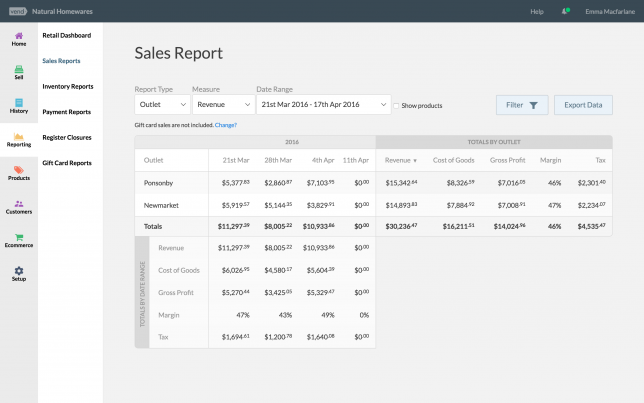 As for how Jason uses those reports, he says that the insights he gains are often applied to product ordering. Action step #1: pay attention to your sales and velocity reports – Make sure you know how different products and categories are performing. Run regular sales reports and also look into how fast products are selling. 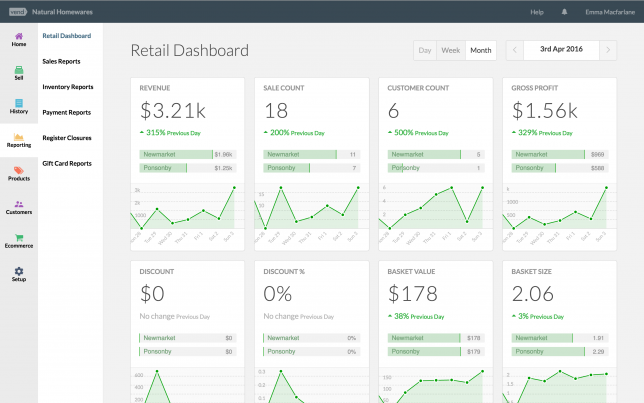 Action step #2: use retail insights to identify trends and make decisions – Figure out what to order by looking at historical sales data. Also use your reports to identify trends. Are sales for a particular product or category slowing down? What are shoppers buying instead? Use data to answer such questions and take action accordingly. Advice on understanding shoppers gets thrown around a lot, but not all business take the time to do it properly. Jason, however, makes it a point to really listen and understand the needs of their customers. Jason uses various ways to chat and keep in touch with shoppers. He has face-to-face discussions and also has conversations over the phone and via email and social media. In addition to talking to customers about products that they sell, Jason says they also send out educational and inspiring content. Doing so, says Jason, helps them engage customers. It also allows them to put the spotlight on some of their products while providing genuinely useful information at the same time. Action step #3: make an effort to actively communicate with customers – Talk to your customers on all channels. Offline, you can do it by walking around the store and offering some assistance. Online, you can communicate by monitoring social media discussions and responding to emails. Action step #4: send out content customers can actually use – Don’t just talk to your customers when you something to sell. Take time to craft educational and inspiring content that they can use. Why not offer tips or tell them about the latest trends? Customer service is also a big focus for Christmas Elves. Here are some of the ways that they make shopping easy and delightful for customers. 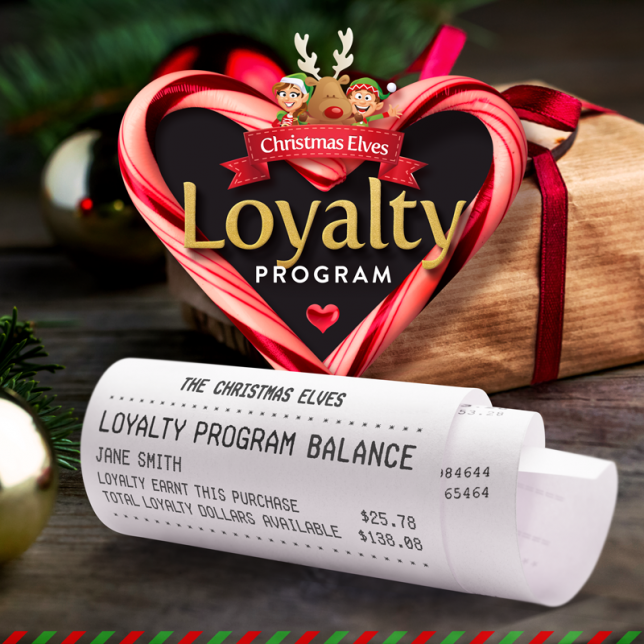 Christmas Elves run an easy-to-understand loyalty program that lets customers earn Christmas dollars that they can use towards their next purchase. According to Jason, this program has helped them with their customer service and retention. Customers won’t have to track their loyalty through physical cards. They simply have to be in Christmas Elves’ system to be able to manage and redeem their rewards. Christmas Elves customers who lose their receipt don’t have to stress about it, says Jason. “If they’re in our system, we can easily look up their purchase and reprint their receipt,” says Jason. So, in the event that the customer needs a new receipt copy, Christmas Elves can process the request without too much of a fuss. Another popular offering of Christmas Elves is their lay-by service, says Jason. Action step #5: make your loyalty program easy to join and manage – Make it easy for your customers to earn and redeem loyalty. Avoid rewards cards and complicated points systems. Also, be sure to remind shoppers about their loyalty points at checkout! It’s a great way to delight them. Action step #6: don’t make them jump through hoops – Find a way to easily track customer purchases so you don’t have to require too much information from the customer. For instance, if you can easily reprint receipts, you’ll be saving them a lot of stress. Action step #7: offer purchase and payment assistance – If it makes sense for your business, consider offering lay-by programs or other services that would make it easier for your customers to buy and pay for your products. Christmas Elves doubled their ecommerce sales in 2016, and they’re on track to double sales yet again in 2017. Here’s how they’re doing it. According to Jason, they exert every effort in making their product pages detailed and attractive. Another way that they’ve increased sales is by implementing strong guarantees. “We’ve got a delivery guarantee. If a customer buys anything from us — from a glass bauble through to a Christmas tree — and if it arrives broken, they just need to send a photo, and we’ll express post a replacement right away. Or, if the package gets lost in transit, we’ll send them a replacement,” he says. Action step #8: invest in online product presentation – Take time to really make your product pages pop. Put up great photos (and videos, if possible). Be sure to write original and compelling product descriptions, then add as many item details (e.g. size, weight, colors) so shoppers know exactly what they’re getting. Action step #9: back up your products with a strong guarantee – Reduce or eliminate risk for your customers. Implement compelling guarantees like giving people their money back if they’re not satisfied, or offering to replace their items if they break or get lost in transit. Hopefully, this post gave you a lot of ideas that will help you take your retail growth to the next level. By the way, we’re still looking for retailers to spotlight on the Vend blog, so if you want to share your success story with thousands of readers, just get in touch! Send an email to francesca [at] vendhq [dot] com, and we’ll get back to you! The post 9 Action Steps That Helped This Retailer Grow 250% in Three Years appeared first on Vend Retail Blog. The festive season is fast approaching and for some this means travel, BBQs or just a long awaited staycation. On the contrary, at Deputy we know this is also the busiest time in the year for many. So, this got us ticking and we have been thinking long & hard about how we can help you get prepared for the hustle. Hear us out! At the busiest period of the year you need all your employees available, aligned and hitting the ground running. You don’t want any key personnel missing. Plan ahead and take control, so you’re ready for the count. You can already communicate in advance to your employees, when you need all hands on deck via our Deputy News Feed. In addition to this, we wanted to help you even more. 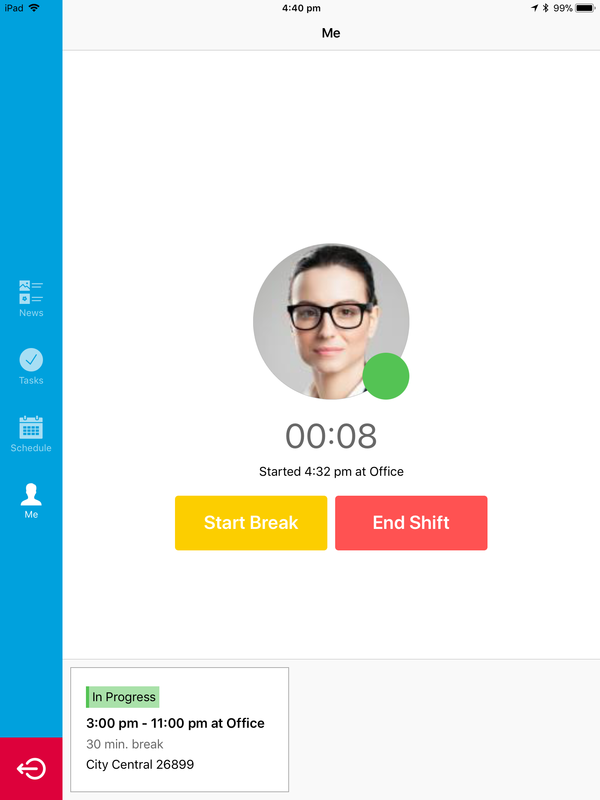 Today we are excited to announce the NEW Time Off Blocker feature. 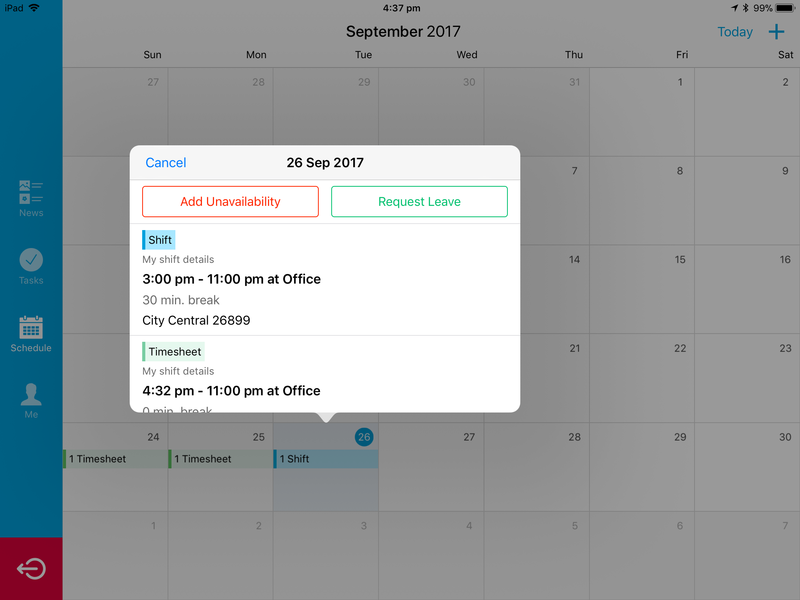 With this, Deputy now helps you proactively manage leave & unavailability requests. A few clicks and you can ensure that on certain days, ALL leave and unavailability requests are automatically blocked. You are no longer caught out at the pointy end of the year. Maybe you don’t want to completely block off dates, a simple heads up would be nice. 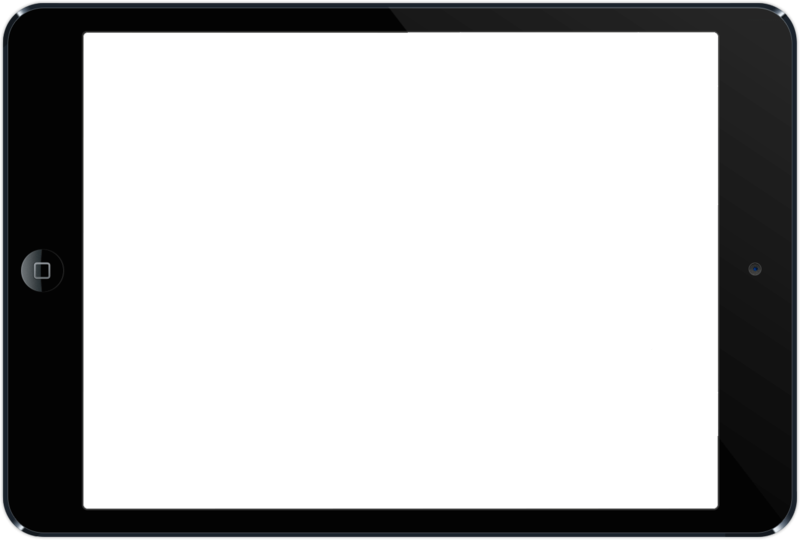 We have also introduced a NEW “Unavailability Notification”. Don’t be caught off guard & get notified when your staff set an unavailability. This has been a popular request and we are thrilled to bring this to you. Learn more & flick it on! Simply go to your Schedule page on Deputy, click a particular Day & tick “Block Time Off Requests”. Done, employees can no longer send Leave & Unavailability requests for this particular day. 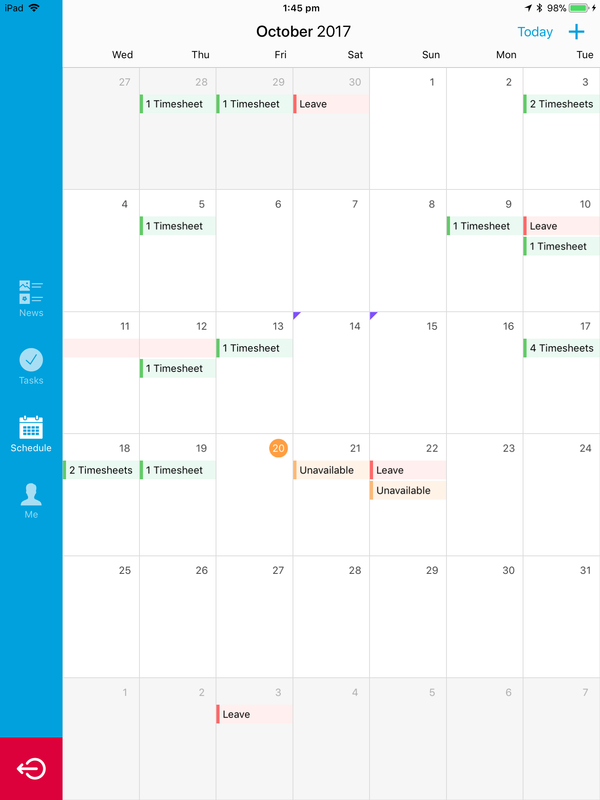 An icon is also displayed to help you easily identify which days have time off requests blocked. We know there’s always an exception, so don’t stress! 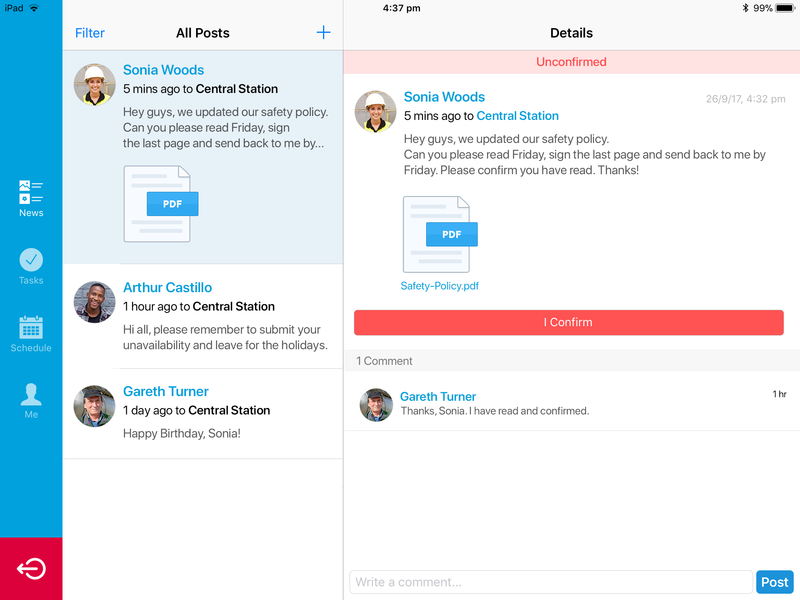 If required, managers can always override this new setting & book leave or unavailability on behalf of someone. You can read more about this feature here. Sleeves up & ready to go! We hope this feature helps you in time for the festive, busy season. Here at Deputy we are always looking for ways to simplify your day & help you in any way. Let us know your thoughts about this feature. We have a cracker week lined up, stay tuned for more updates! 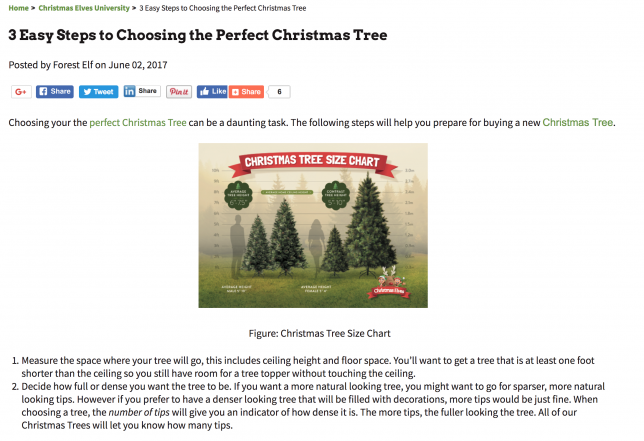 The post How to Tackle the Busy Holiday Season appeared first on Deputy. Reading about Amazon Key reminded me of a question from a recent conversation with a friend. Are we living in a time of radical change? Or is it just a middle-aged rite of passage to talk about how different everything was when you were a kid? My friend thinks so. After all, she said, every generation says, “Why, back in my day…”. I interpreted that to mean that every generation witnesses the same rate of change (political, economic, social, technological, etc.) This might be true in many respects. However, when it comes to technology and shopping, the change from 20 or 25 years ago really is remarkable. Let’s say you wanted to buy something in the mid-1970s (clothes, an appliance, toys, etc.). First and foremost, you’d go to the mall, department store or other physical retailers. Alternatively, you might flip through a printed catalog and place orders by mail or phone. (Phones, remember, were stationary, analog and audio-only). Occasionally, a salesman would come by to pitch encyclopedias or a vacuum cleaner. How was 1995 that much different? Perhaps cable shopping networks wiped out the door-to-door salesman. Maybe email reduced postal orders. But otherwise, brick-and-mortar remained the dominant channel. How different things are now, thanks to the acceleration of technological change. Since the 1990s, the Internet went from static HTML to the dynamic, multi-media web. Dial-up gave way to broadband while computers became pamphlet-thin. And smartphones arrived with more computing power than you could possibly need to process the data now running over 4G mobile networks. This foundation consequently gave rise to the omnichannel world that shoppers take for granted today. It allows them to shop and buy at any time, from any location. So, What About Amazon Key? So, what’s next? Probably no other company has had such an impact on how people buy and sell than Amazon. Its dominance relies to a large extent on its mastery of logistics, which gets products to customers’ doors cheaply and quickly. With Amazon Key, the company wants to open the customers’ door as well. Using a $250 door-lock/webcam setup, Amazon customers can allow delivery people access when they are not home. (The camera records the delivery for security purposes). Anecdotally, some people aren’t comfortable with this particular technological capability. Personally speaking, that would never fly, back in my day. Whether consumers take to Amazon Key or not, the way people shop and buy will continue to change. Businesses must have the mechanism in place to adapt to how their customers behave. For that, they need an integrated system for managing and automating omnichannel sales and fulfillment. The post Amazon Key and the Acceleration of Change appeared first on Cin7. From CRM to expense management apps, say hello to the exciting newcomers to Xero’s app marketplace. BriteBiz is advanced CRM, Sales and Workflow Management Software app that connects seamlessly to Xero. Revolutionise your sales and accounts with our two way Xero sync. It’s simple, beautiful and powerful. Spend from any of your accounts with just one card. Automatically send transactions & receipts to Xero as you pay. Less time on admin, more time for your business. Curve is helping small businesses, freelancers, and entrepreneurs to be smarter with their money. Transform your wallet full of cards and receipts into just one card that talks directly to Xero. Submit expenses automatically as you pay. Get instant reminders any time you make a purchase. Store your receipts safely in the cloud, for peace of mind. This is expenses how it should be: effortless. 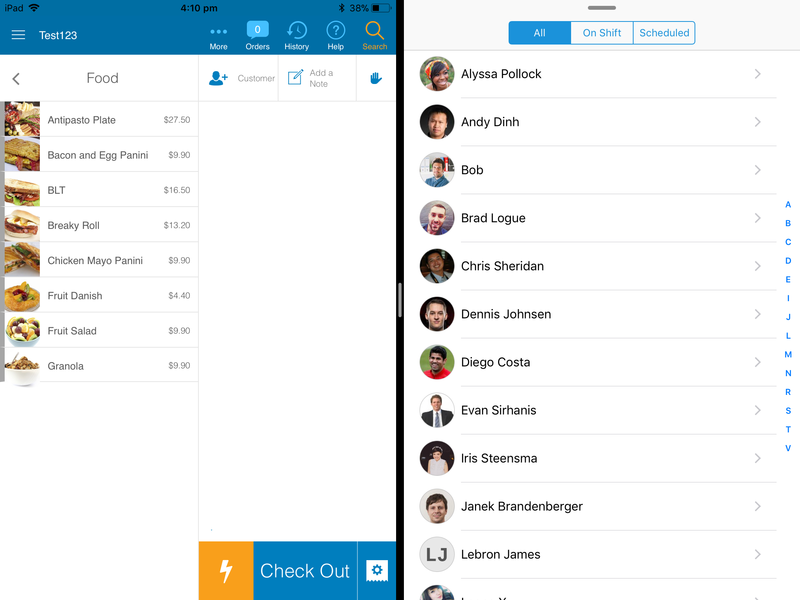 Basecone is the new standard for processing invoices and receipts into Xero. It means no more manual entry work or lost invoices and receipts, so you can put more time and energy into your business. Upload, process and approve invoices and expenses easily, seamless integrated with Xero. It’s the automated expenses and smart payment card solution that makes managing company spending easy, with instant and accurate expense data. 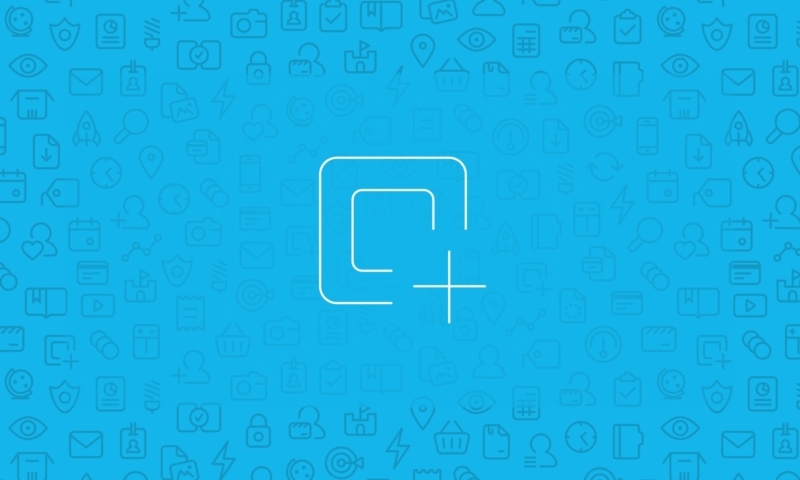 Expend offers a set and forget, real-time integration with Xero. Simply pay with an Expend card and we do the rest. GoProposal automates the entire signup and fee review process. It’s a fully integrated pricing and proposal tool, that allows progressive accountancy firms to agree fees, produce stunning proposals, auto-generate the Letter of Engagement, sign-up the client and generate the invoice in Xero… all in under three minutes. Fivetran builds technology to help analysts connect data to their warehouse. With Fivetran it’s possible for companies of any size to gain the benefits of centralized data. Our connectors bring data from applications and databases into your warehouse, enabling analysts to unlock profound insights about their business. 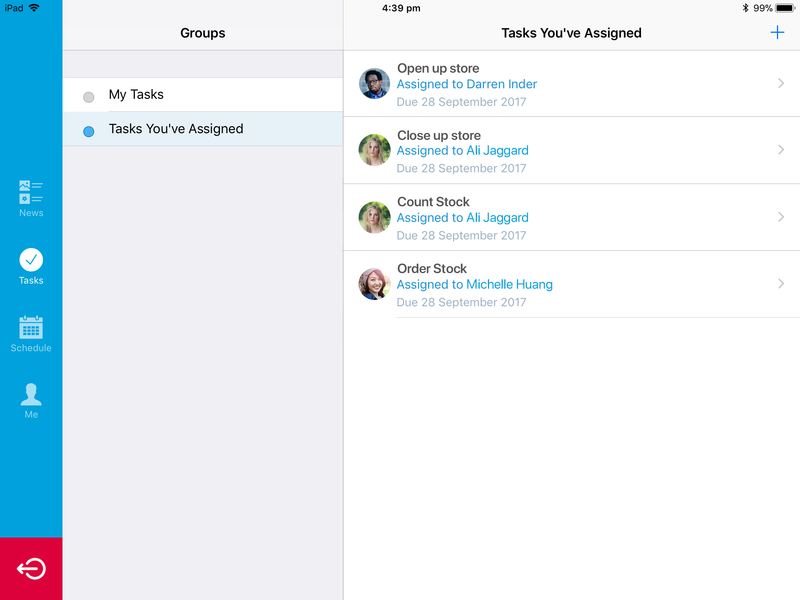 The post What’s new in our app marketplace appeared first on Xero Blog. Are You Geared Up for an Omnichannel Christmas? The season leading up to Christmas is crucial to retailers in every market where it’s a holiday. In fact, language reflects its importance. They call it the Golden Quarter in the UK. In America, the season starts on Black Friday because that’s when holiday shopping pushes retail ledgers out of the red. No matter the market, though, analysts predict modest to significant sales increase, with one surprising forecast. People may spend more online than in stores pointing to a shift in omnichannel Christmas retail. With so much sales happening in the lead-up to Christmas, the season seems to serve as a crucible of retail strategies. Because analysts expect consumers to do more holiday shopping earlier and online, rigid, siloed channels won’t do. In fact, US consumers may spend more online than in store for the first time ever, but only by a little. This shift to omnichannel Christmas buying patterns emphasizes the need for retailers to adopt an omnichannel strategy. Will Online Overtake In-Store Sales in the US? We’ve probably buried the lead in this post, but if a bombshell report bears out, some rigid department store models may be in trouble. For the first time ever, an annual report predicts that customers will spend more online than in stores this holiday season. The survey of 4,000 Americans shows they plan to spend 51% of their holiday budget online and 42% in stores. Last year, they split their budget evenly between the two. The bad news is that only 28% named department stores as their top shopping destination. Miracle on 34th Street never seemed more out of date. Generally speaking, time is the critical factor determining the new normal. Specifically, shoppers want to buy and receive products whenever and however they want. That’s what makes the omnichannel model imperative. And if 2017 is the year of the “omnichannel Christmas”, then time is a driving factor there, too. While not all research predict consumers moving primarily online, they do confirm online shopping’s importance. This, in turn, renders physical store hours and traditional holiday season nearly meaningless. Consequently, shoppers start buying before Black Friday in America. Meanwhile, consumers in the UK will finish their Christmas shopping before December even begins, with only 9% leaving it to the last minute. The best news may be that consumers expect to spend more this year than they did in 2016, regardless of the channel. But, every year, we see the same thing. People will still shop in stores, but the accelerated growth goes to online channels. This points to the increasing importance of retailers to adopt an omnichannel approach. To capture as much business as possible, you want to integrate your online and in-store channels. You’ll need to present customers consistent branding, pricing and product availability. And you’ll do best to offer flexible shipping and fulfillment options. That seamlessness and flexibility form the core of the omnichannel approach. You just need to plan, prepare and bring your channels together in a way that makes it easier to manage. The post Are You Geared Up for an Omnichannel Christmas? 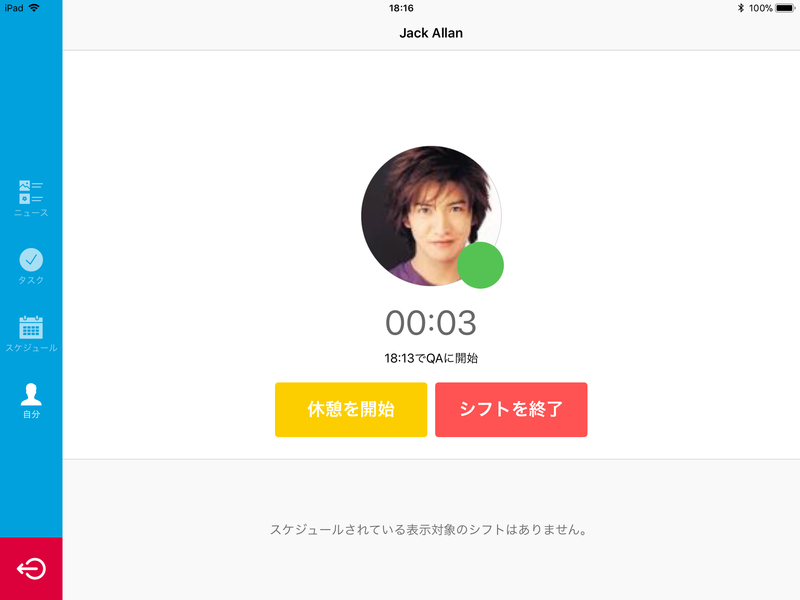 appeared first on Cin7.